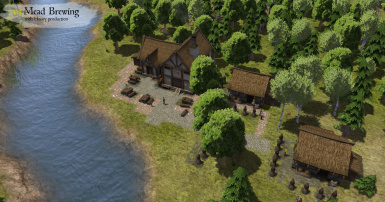 This mod adds an Ale House to brew and serve Ale & Strong Ale & Local Brew, as well as a water source for all recipes now require water. 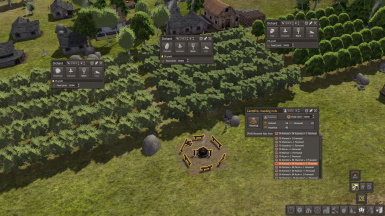 A mod centered around the production of Mead.Adds a Meadery to brew mead, along with apiaries to produce honey,a water well for water, storage and decorative tables. 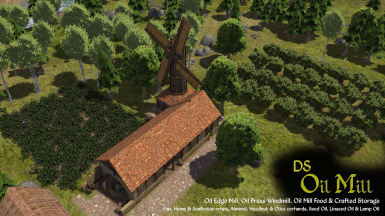 adds Oil Mills to process many types of Nuts, Vegetables and more into Oils. 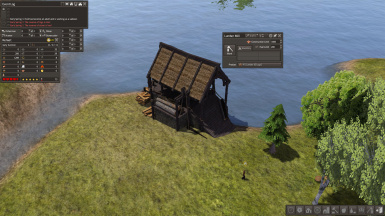 Also adds a Food & Crafted Storage barn, plus a Leather Worker. 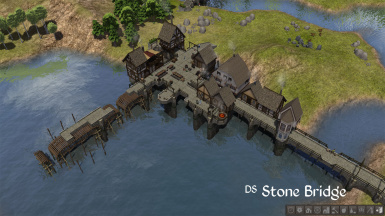 Requires DS Jetty & Bridge v2 and Improved Mine by yandersen. 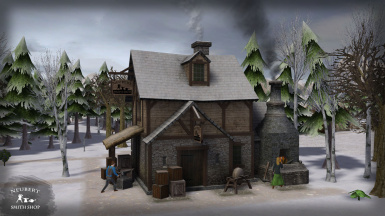 Build the Neubert Smith Shop, a blacksmith producing tools, iron fittings, wagon parts and fishing gear. 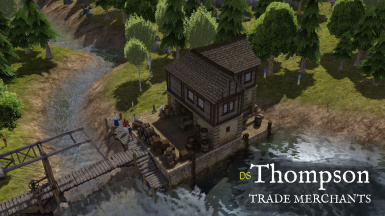 Thompson Trade Merchants - specialised trading buildings for most goods, plus much more. 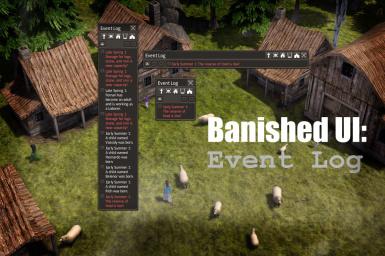 adds alternative UI boxes to display a log of events that have occurred in your town - smaller and more compact than vanilla. 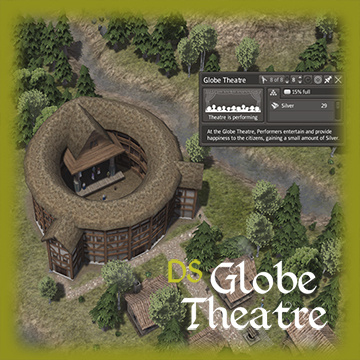 Build a theatre based upon Shakespeare's Globe Theatre. Only one can be built on a map.It employs 2-8 Performers who will provide entertainment happiness to the citizens and earn a small amount of silver. Adds a large 7x10 Chapel for 201 citizens. 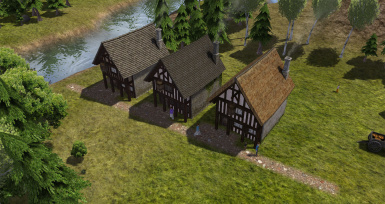 Adds new wood and stone tunnels. This mod adds 6 Tunnels - 2 Log Tunnel styles, + variant, 2 Stone Tunnel styles, + variant. adds a Campfire to roast all kinds of nuts. Almonds, Chestnuts, Hazelnuts, Pecans, Pistachio, Walnuts and even Acorns. 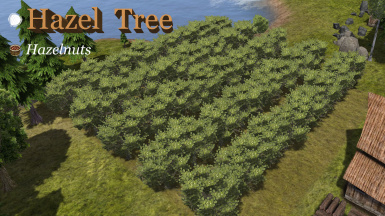 Includes orchard seeds for Almond, Hazel, Pistachio and Oak trees. 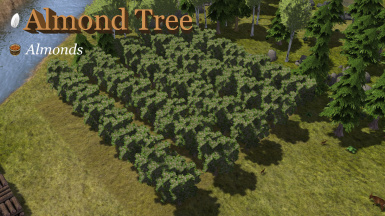 This mod adds Almond trees to orchards and Almonds as an edible food. 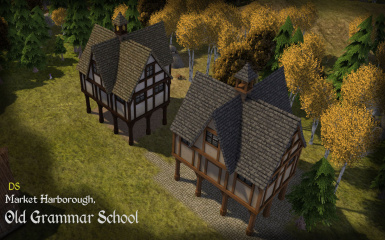 Seeds for Almond trees can be bought at the trader for 2500.
adds a School building for up to 25 students, the model is based on the 1614 Old Grammar School in Market Harborough, Leicestershire, England. 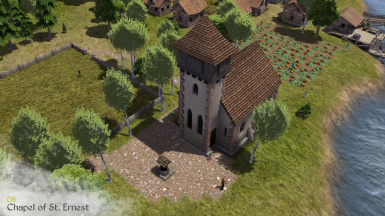 adds a selection of Stone Hovels to the game. 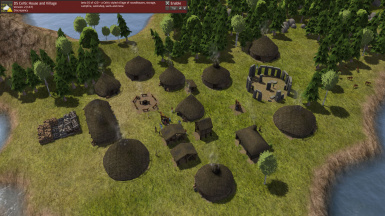 a Celtic styled village of roundhouses, storage, campfire, workshop, wells and more. 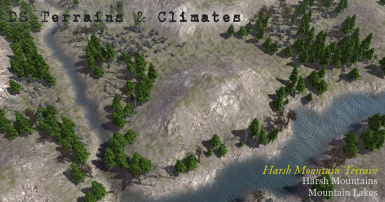 adds new starting map terrain textures, new climates and new Tiny and X Large sized maps. 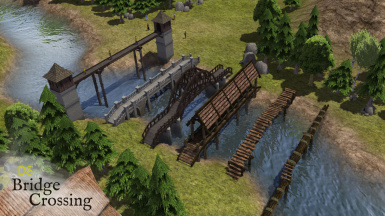 a modular stone bridge with homes, storage, production & services. 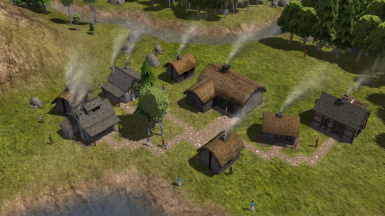 A Timber Mill to process Logs into Lumber or Firewood. 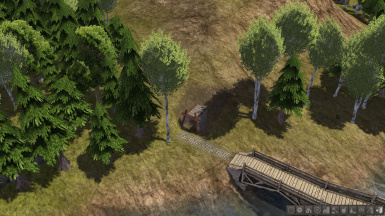 Pine & Birch foresters, also includes decorative stone & timber wharf pieces, plus more. 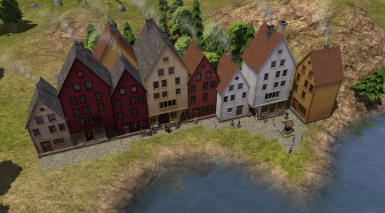 This mod adds comfortable town houses to your town.